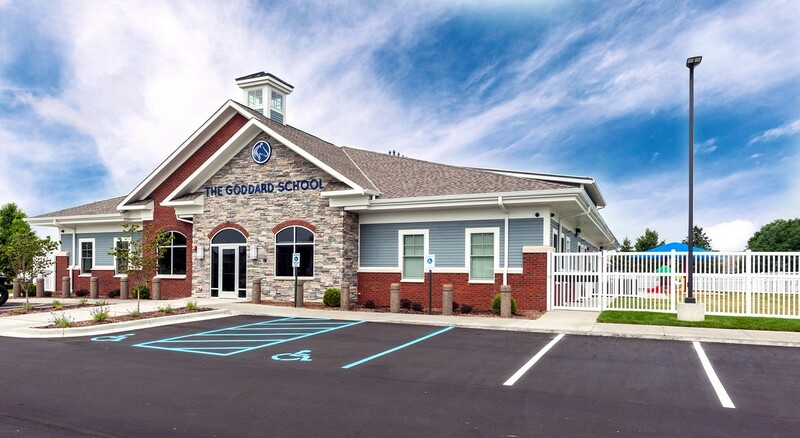 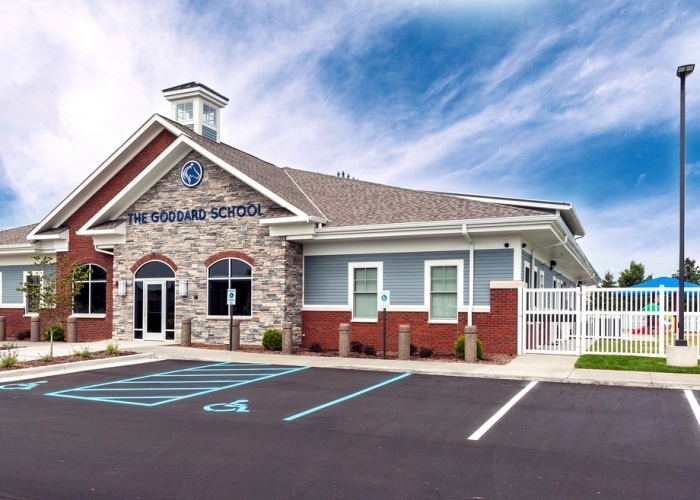 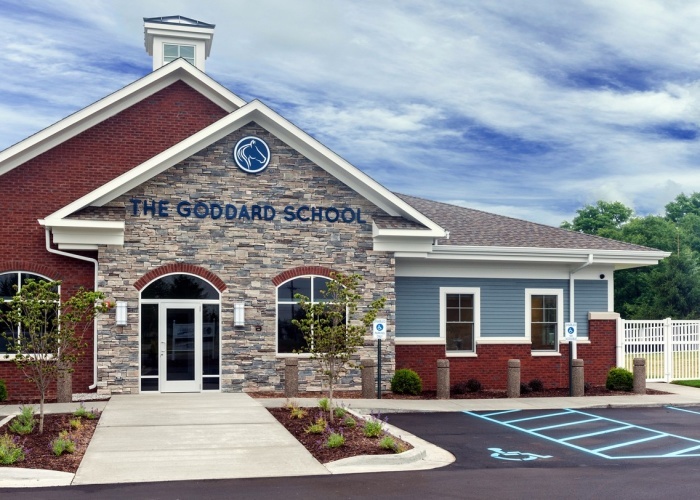 Learn more about our project with The Goddard School in our case study. 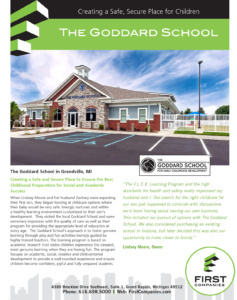 When owner, Lindsay Moore, decided to start her own business, she began looking for suitable locations for The Goddard School she planned to open. 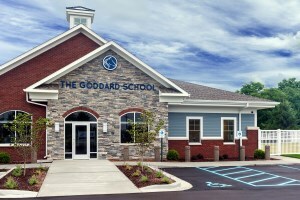 She found the ideal property and construction partner with First Companies. 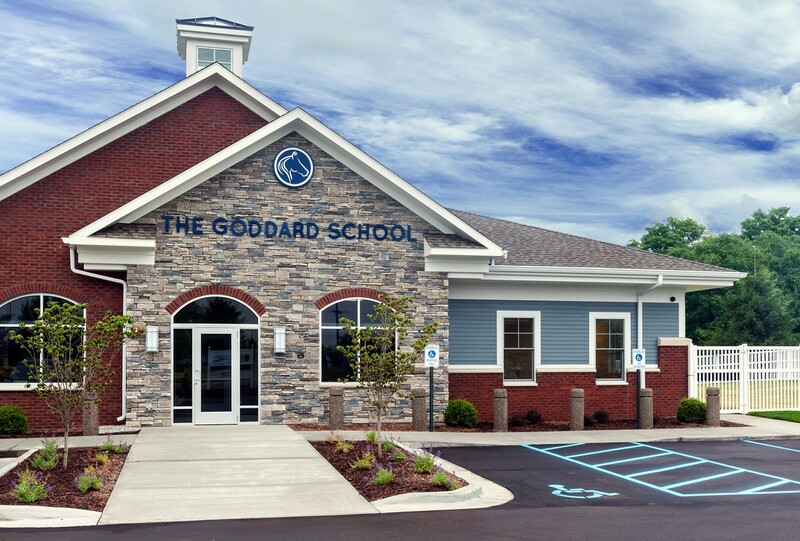 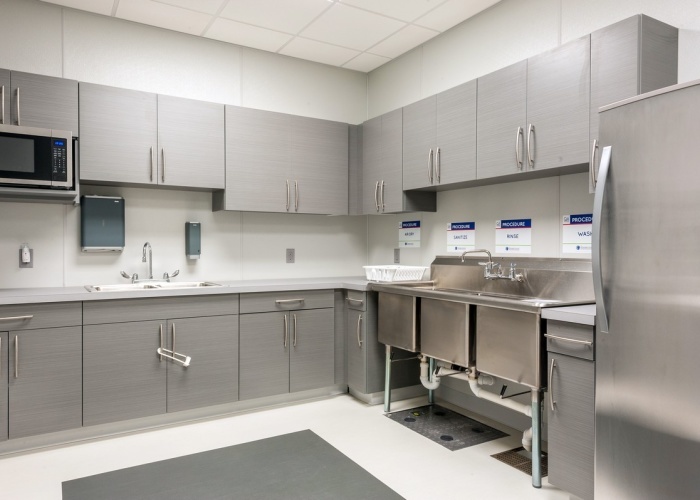 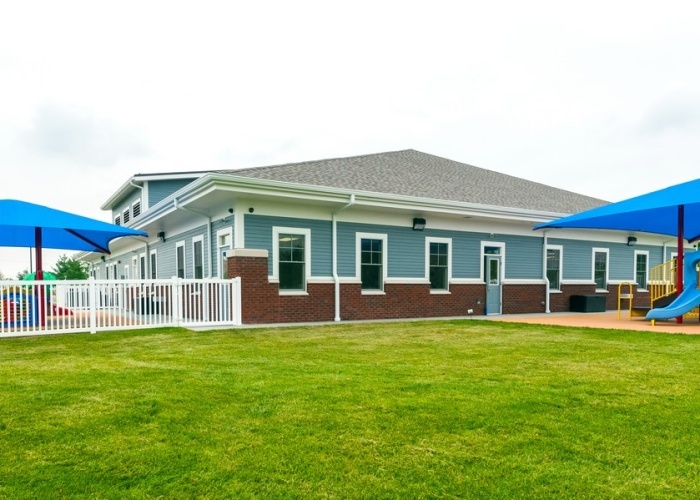 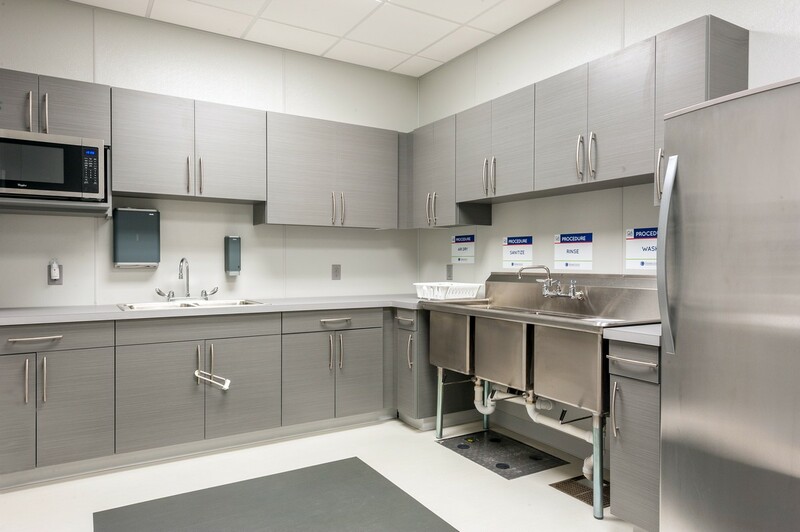 The 8800 square foot facility in Byron Center was constructed to very high standards for safety and quality set by the Goddard organization. 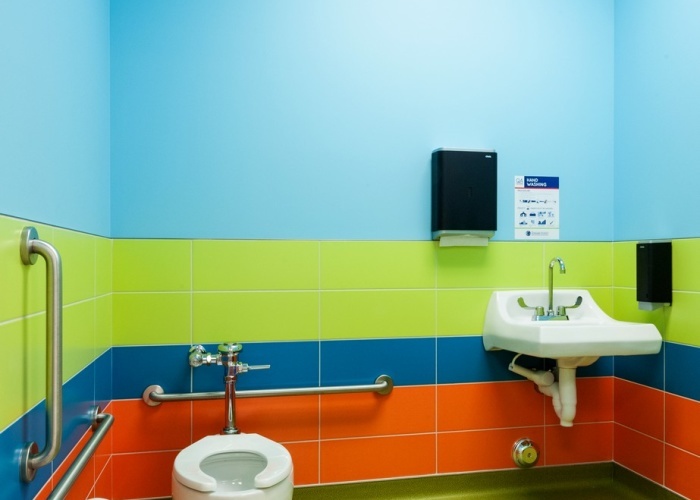 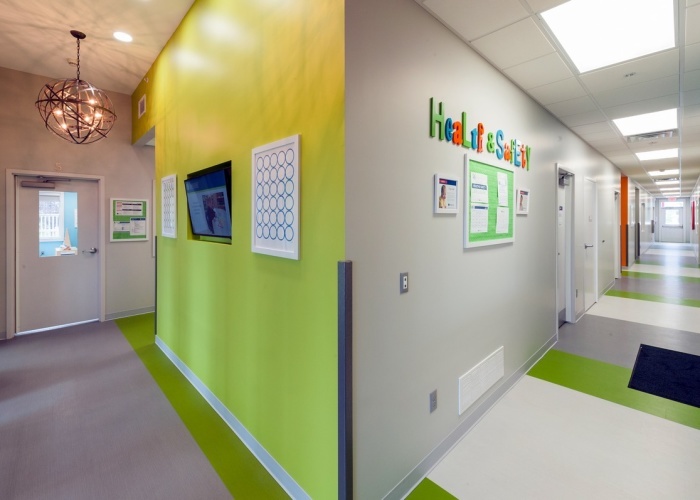 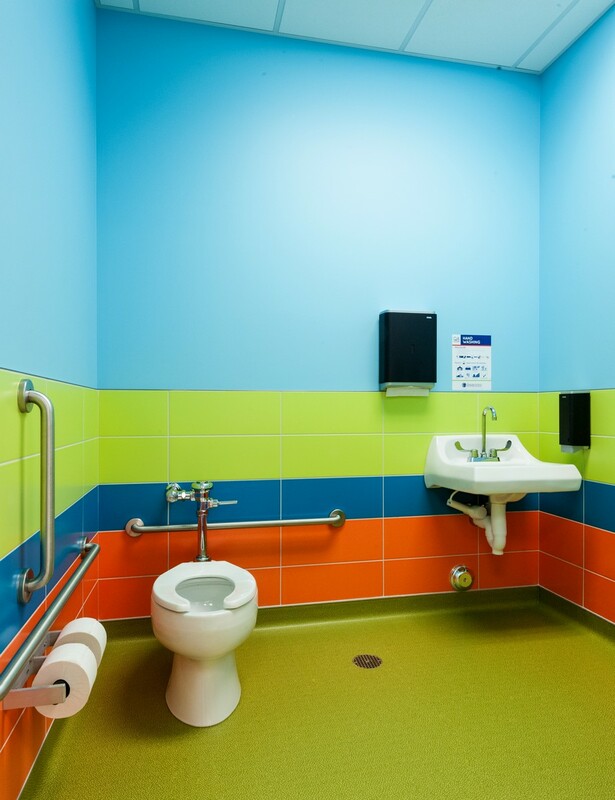 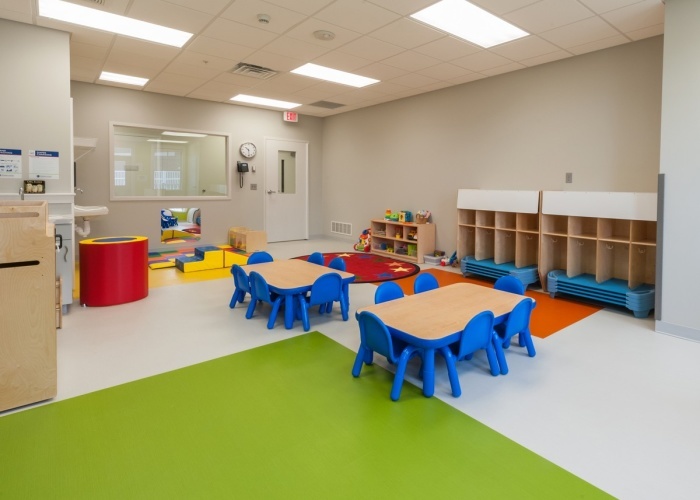 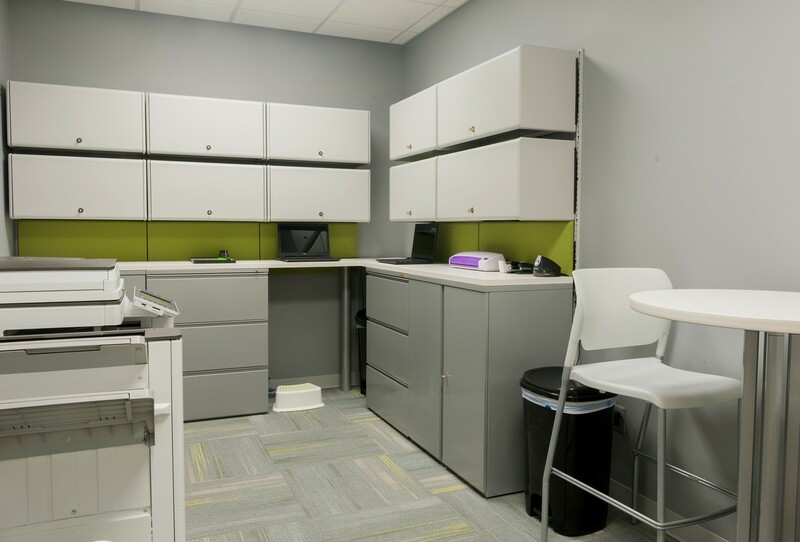 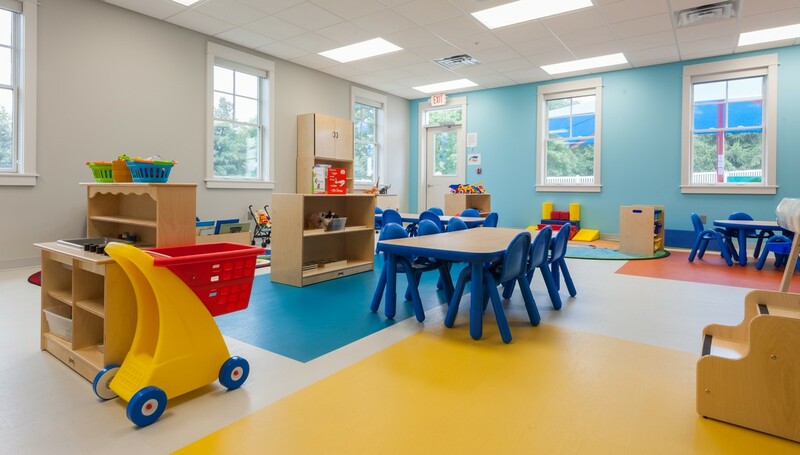 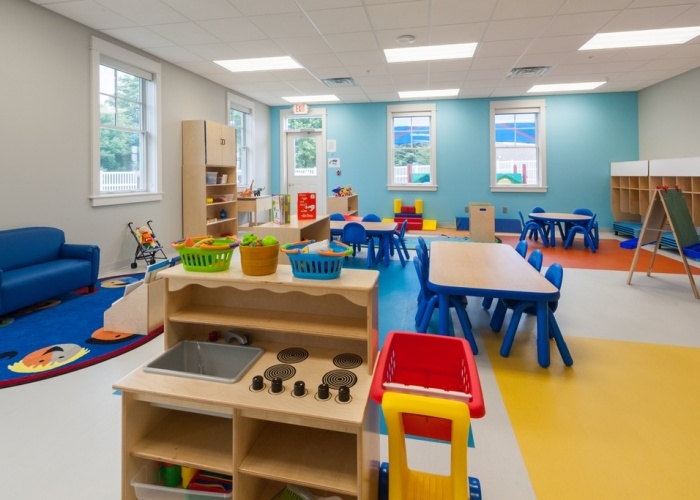 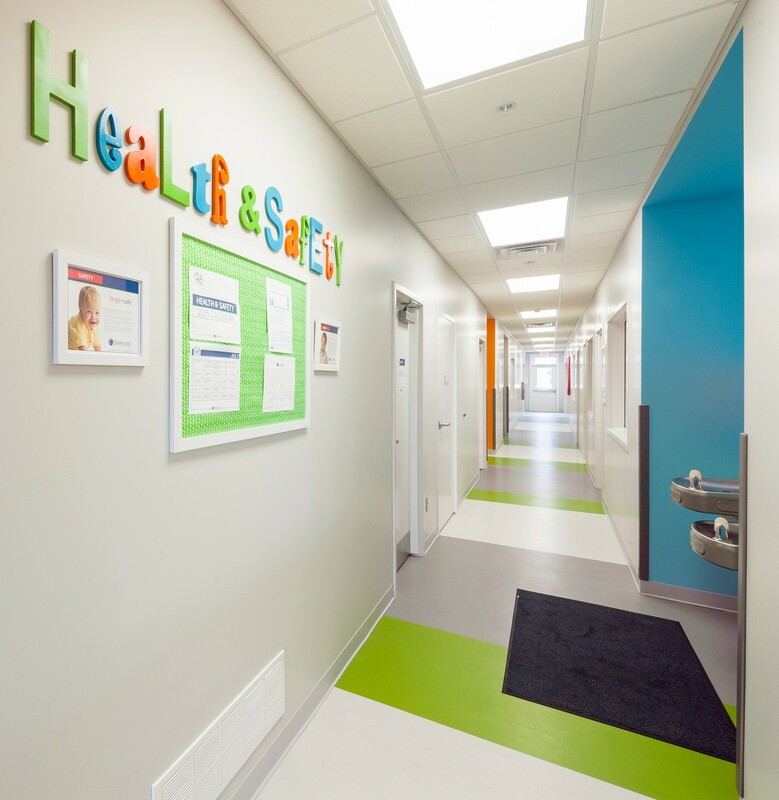 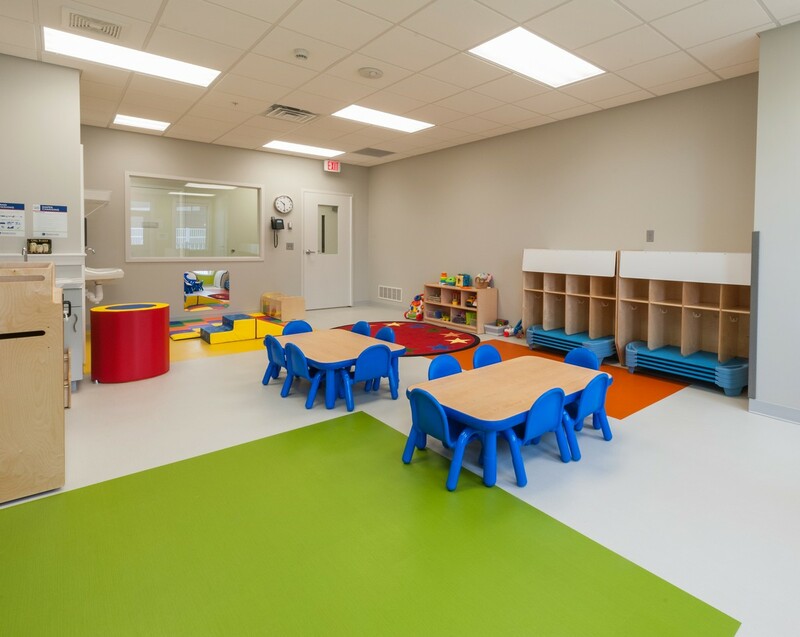 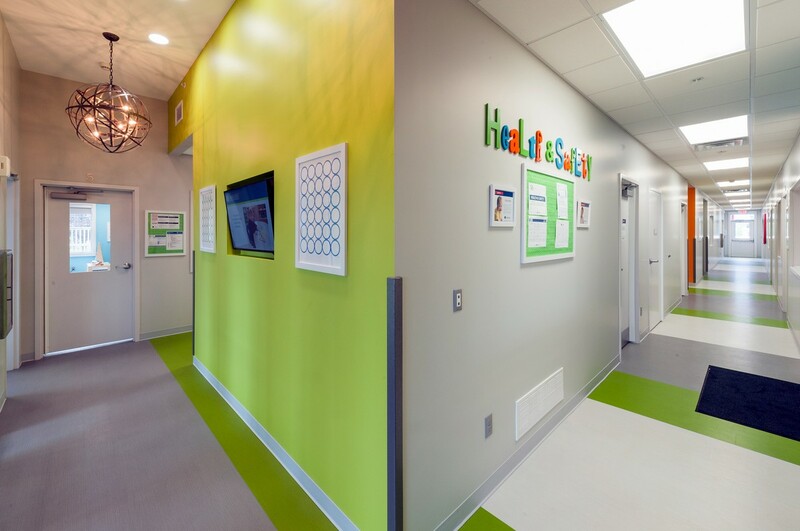 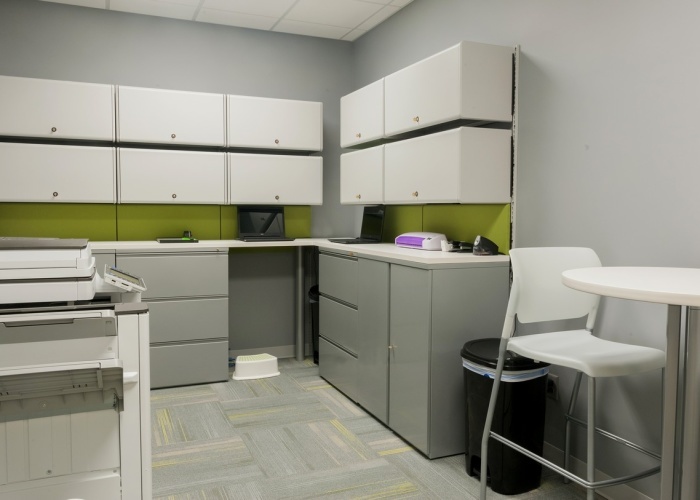 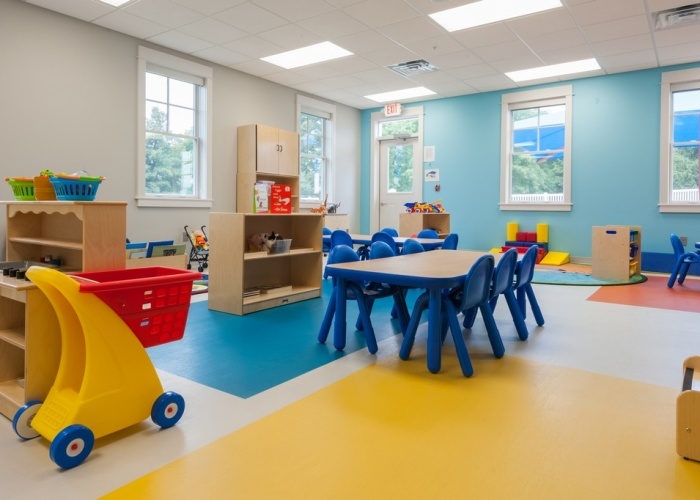 All classroom sizes, setups, and fixtures follow strict guidelines which include fixtures that fit the age of the child and continue to increase in size as the children grow. 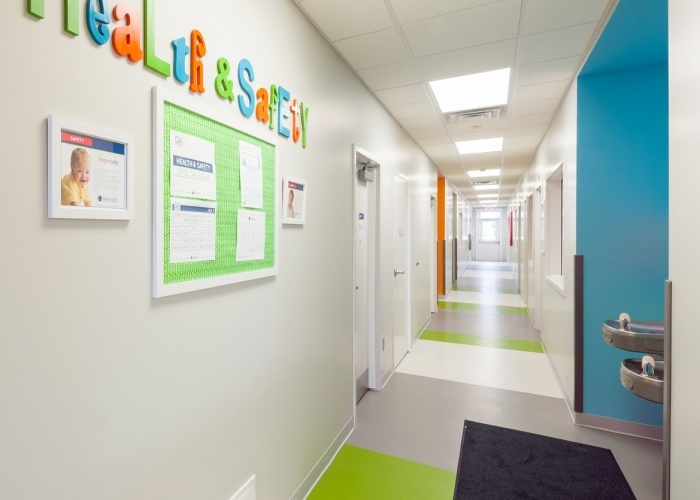 The fence design keeps children safe and secure while allowing them to see outside and learn from their surroundings. 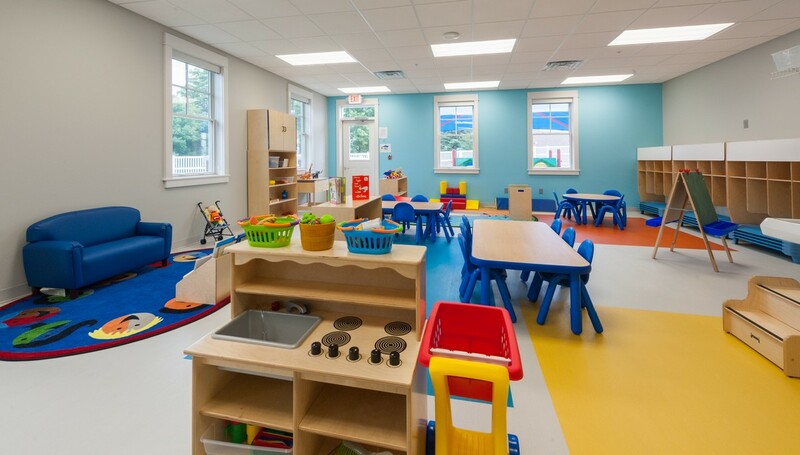 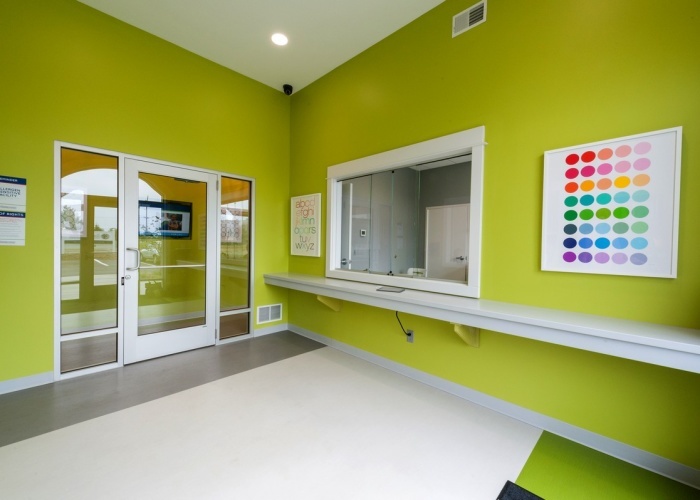 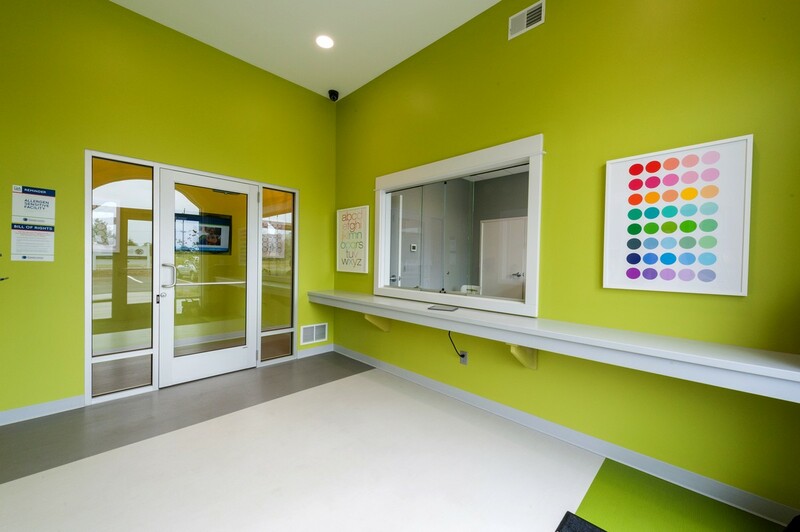 The overall design and layout ensures a fun, comfortable learning environment as well as compliance with all regulations.